The other night while we were all outside enjoying the night air Bekah pointed out the moon to Porter. 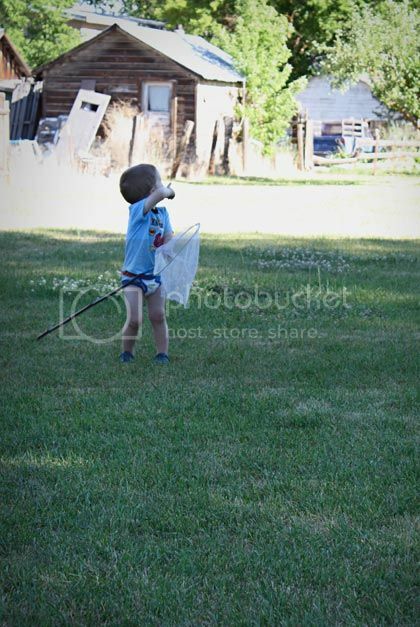 He got very excited about it, ran into the garage and came out with one of our large butterfly nets. He would point at the moon and say, "Catch it!" 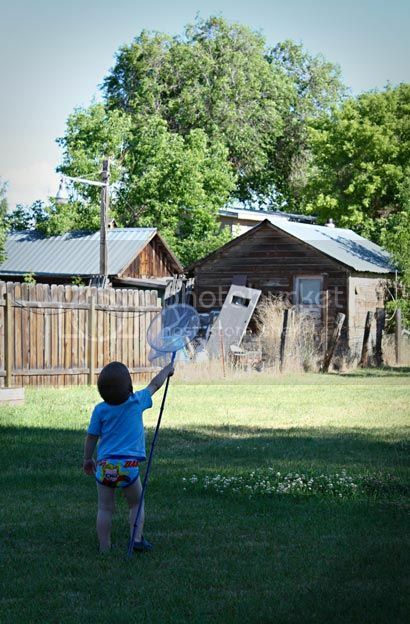 Porter would reach with that net and say, "Catch it, Moon!" It was pretty much the cutest thing I had ever seen, he kept it up for a good 20 minutes, trying himself and then trying to get others to help him.